What Is It? System Requirements? Who Can Benefit? What is VantagePoint Student Edition? 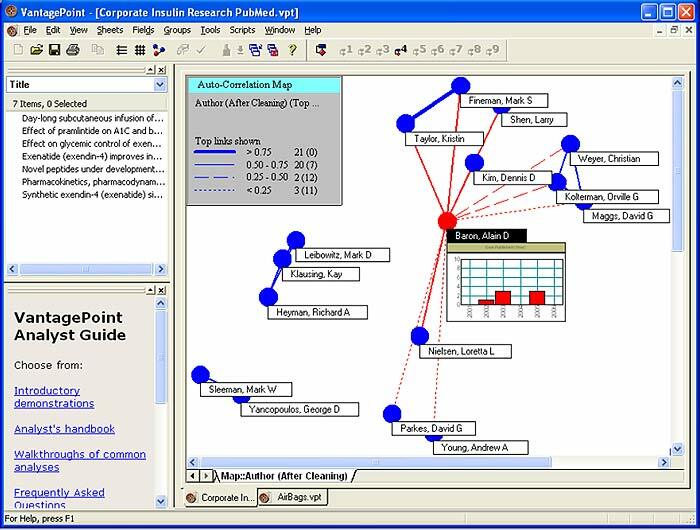 VP Student Edition is a powerful text-mining and visualization tool for discovering knowledge in search results from science literature and other field-structured text databases. 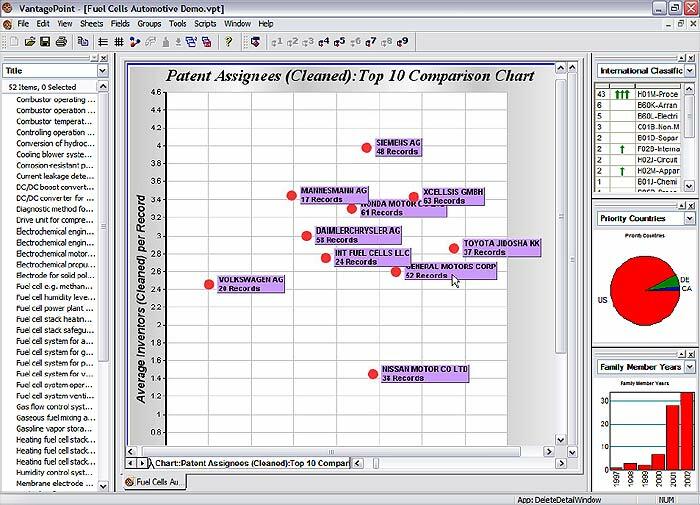 Based on technology developed at a major US research university, used at leading universities globally, and cited in over 300 journal articles, VantagePoint is a market leader in text analysis software. 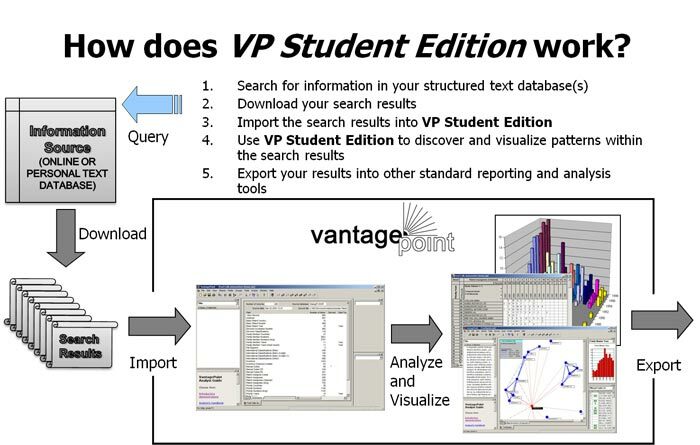 VP Student Edition is a 32-bit version of VantagePoint. 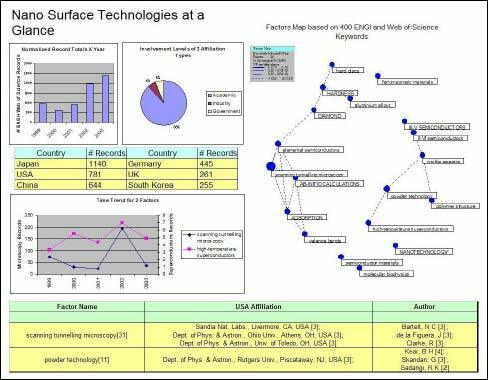 It can analyze up to 5,000 records from CSA, Ebscohost, EiVillage, ISI WoK, Ovid, PubMed, ScopusNSF awards, USPTO, or your own Excel or Access database. Membership to VP Institute, an online community of VP Student Edition users. It is a resource for collaboration, training, tech support, and circulation of research results and case studies. Subscribers may connect to VP Institute from the links within a registered copy of VP Student Edition,or directly at www.vpinstitute.org. VP Student Edition is a one-year license available to students and faculty of accredited academic institutions in Canada, USA, and Europe for academic use only. Inquiries for academic use in South and Central America and Mexico please click here. VP Student Edition is not eligible for maintenance or version upgrades during the 12-month license period. Appropriate academic use is defined as and is limited to use within a course curriculum and/or for research resulting in open publication of results contributing to the public research knowledge base (e.g. journal articles and conference papers). When appropriate, acknowledgement of the use of VantagePoint is appreciated. Use of VP Student Edition outside of these conditions requires a commercial license. Inquiries as to whether VP Student Edition is available for your academic institution can be sent to student_edition@vpinstitute.org. Operating Systems – VP Student Edition works on Windows 7, 8, and 10 platforms. Other operating systems (e.g., Macintosh OS X or Linux) are not supported. While not a requirement, some of our Visual Basic scripts require Microsoft Excel (2003 or later). Recommended Processor – Intel i3 or better. The faster the processor, the better the performance. The minimum recommended operating RAM is 2 GB. Who can benefit from VP Student Edition? Text-mining with visualization analyzes large volumes of text-based information to quickly find critical patterns and clarify relationships. Students in fields of Technology Management, Business Intelligence, Public Policy, Scientometrics, and Information Science among others can uncover key trends and indicators inherent in science and technology literature datasets. What can you do with VP Student Edition? 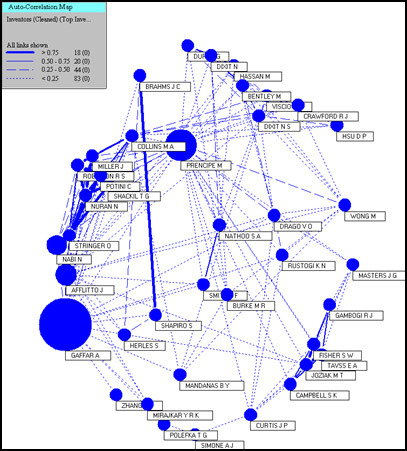 Knowledge Networks –who is doing what with whom and where. Present -Reduce large collections of information into integrated presentations. VP Student Edition has five key capabilities. Importing– getting the raw data into VantagePoint and mining the raw data to get more data from it.